BlockBuster Challenge is a movie puzzle game. How to play? There are four images on each level. The images directly or indirectly hint to name of a Hollywood movie. Guessing correct answer from the images will take you to the next level. If you require a hint or a letter, please use the green colour buttons to the extreme right of the screen. Please use the coin stack icon on the top right corner to get more coins, if required. We have tried to keep a balance of easy and tough questions in order to make the game challenging. 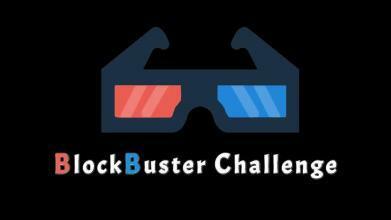 BlockBuster Challenge is dedicated to all cinephiles who love films regardless of genres. From animated films to thrillers, from romantic flicks to horror movies, we love the world of cinema. Hope you would enjoy this game as much as we loved developing it. We would be glad to answer any of your queries at blockbusterchallenge@gmail.com. We will be adding more levels frequently. Keep playing!